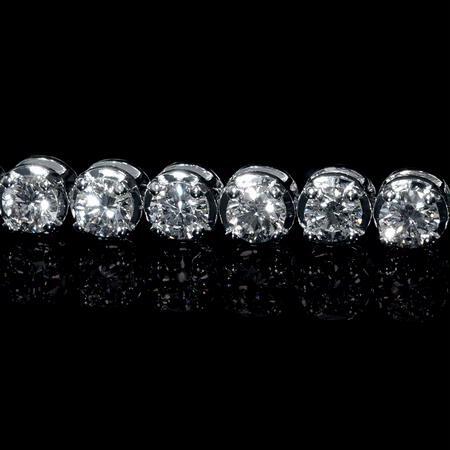 Diamond Details: 43 Round brilliant cut white diamonds of G color, SI clarity, with excellent cut and brilliance, weighing 5.40 carats total. 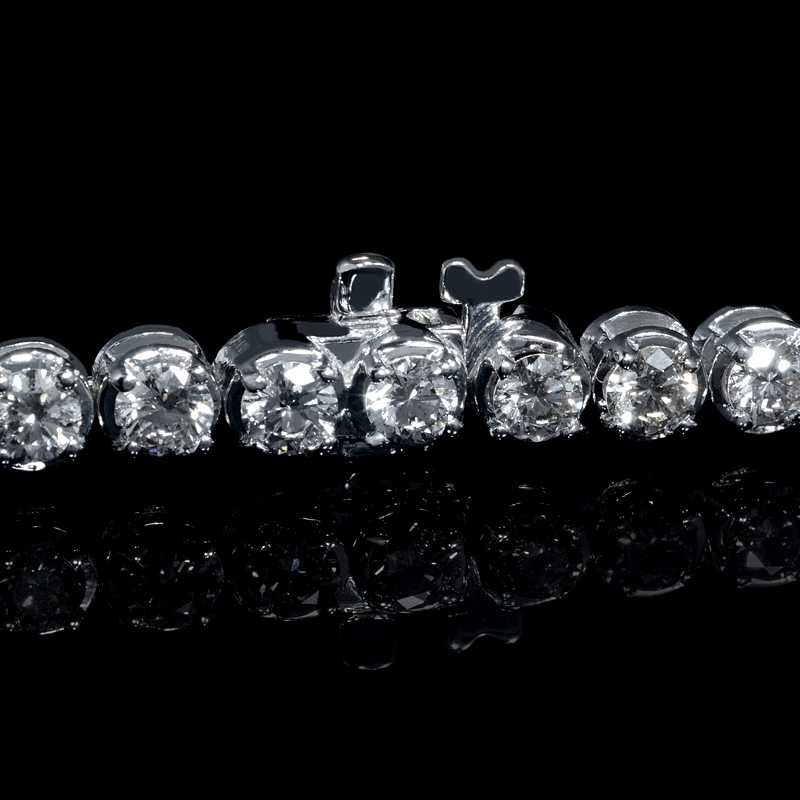 Bracelet Details: 14k white gold tennis design. Measurements: 7 Inches in length and 4mm wide. 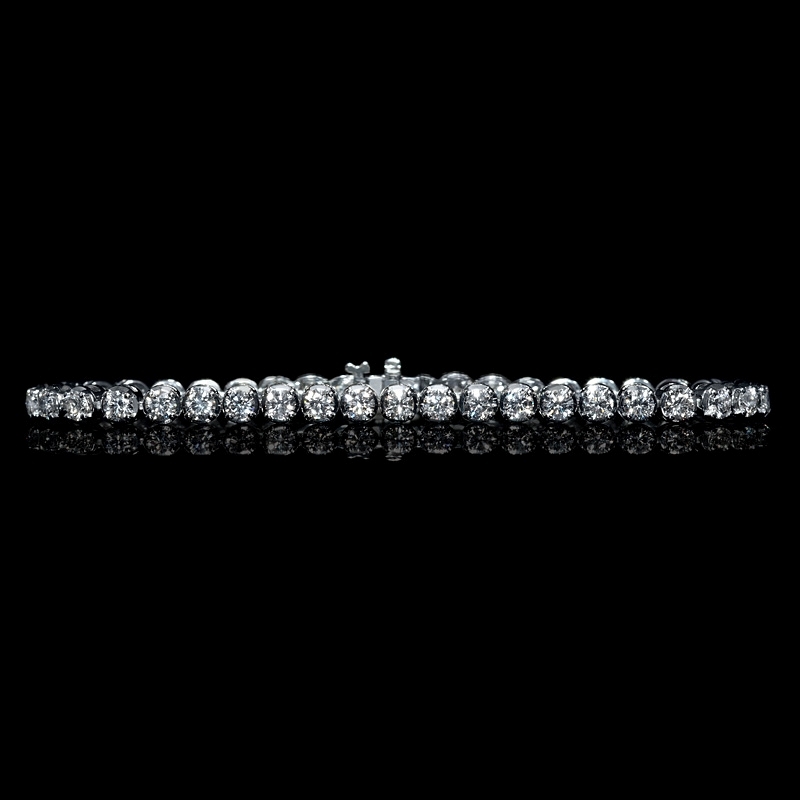 This amazing 14k white gold tennis bracelet, designed in Italy, features 43 round brilliant cut white diamonds of G color, SI clarity and excellent cut and brilliance weighing 5.40 carats total. A great gift idea! 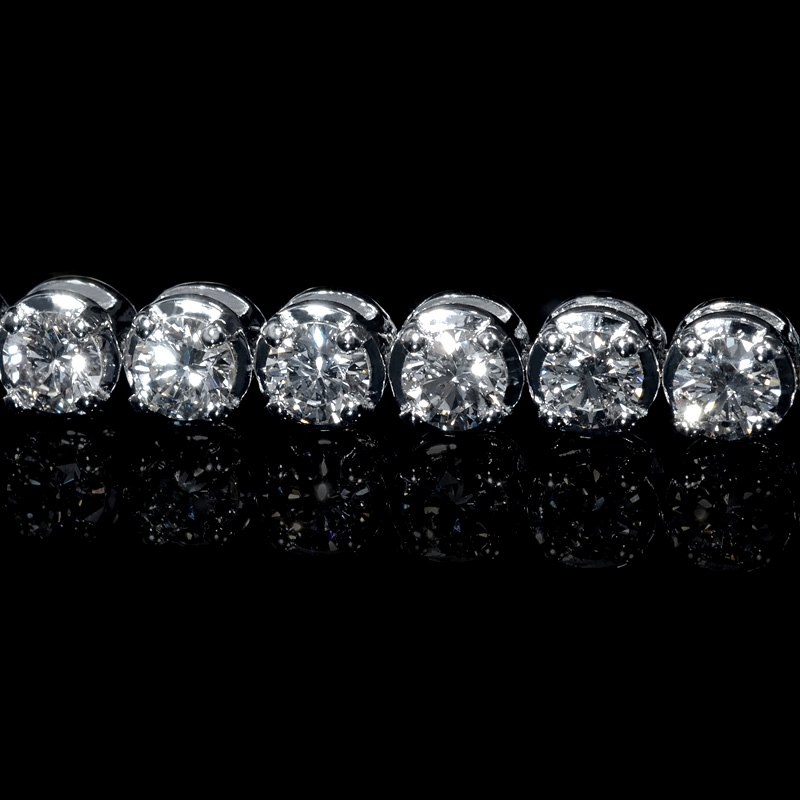 This diamond tennis bracelet measures 7 inches in length and 4mm wide.